People “rescue” animals from humane societies and rescue organizations every day. I have clients who have gotten dogs and cats that were in abusive situations or were neglected. Two of my clients have pets they have “rescued” from two of the most destructive storms in the past few years. 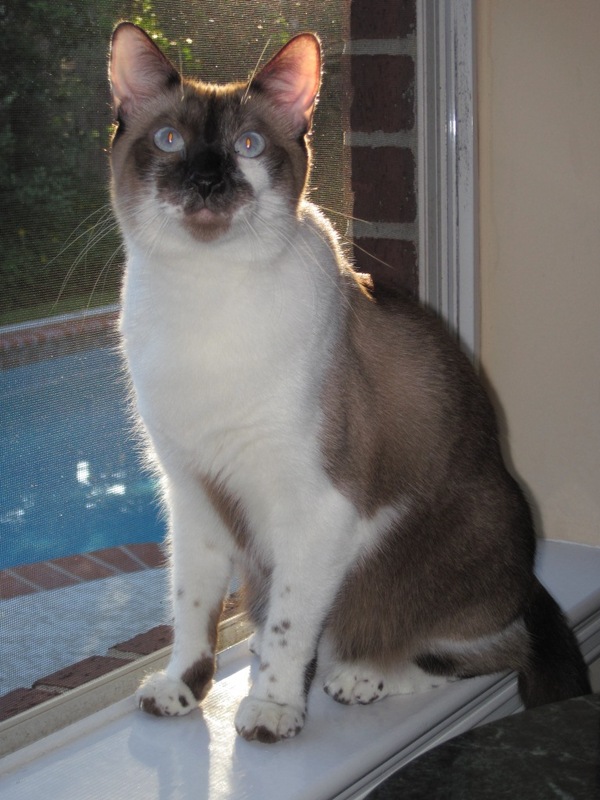 Sugar Cookie is a Siamese cat that survived not only Hurricane Ike on Galveston Island in 2008, but also an attack from pit bulls running loose after the hurricane hit. 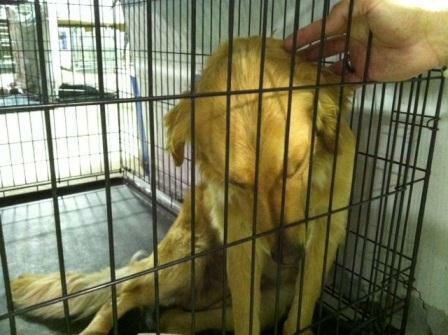 Joplyn is a golden retriever that survived the disastrous Joplin, Missouri tornado that hit in 2011. This is their story. Mike Bettes is an On-Camera Meteorologist with the Weather Channel. He was one of the first people to start broadcasting live from the scene of the Joplin tornado on Sunday, May 22, showing America the twister’s immense devastation. He had been chasing severe weather in southwestern Missouri and was positioned right behind the storm, so he arrived on the scene of the destruction only about 10 minutes after the tornado hit “I had never seen anything where the damage was that fresh and chaotic,” Bettes said. “Usually when we covered damage we didn’t get there until the day after. It really hit home how destructive it was.” He was reporting live from the St. John’s Regional Medical Facility where 6 people were killed. 158 people were killed, making it the deadliest tornado in the US since 1947. When reporters start covering a story, especially when it becomes a big story, they want to continue to cover the story. Because they are there, they develop contacts to help them with their coverage, to give them information and story ideas. In the public’s mind they also get identified with stories because they are seen covering them so much and this was the case with Bettes and the Joplin tornado. “My reason to adopt was because of my experience covering the story,” Bettes said. “There were literally hundreds of homeless animals and we did a story on it.” “I had wanted a dog and I saw this sweet golden and the director hooked me up. Nobody knew anything about her before she got there. She showed up 9 days after the tornado hit and they could tell she had a litter of puppies either right before or right after that. No one knows what happened to any of the puppies. When Joplyn arrived at her new home in the Atlanta area on June 27 she weighed only 49 pounds. 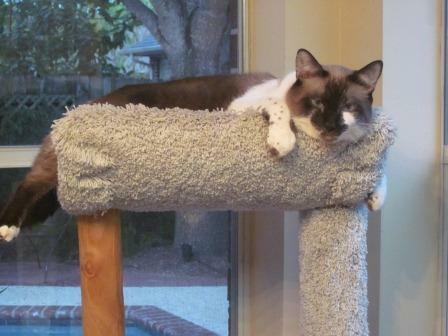 “When we first got her she was underweight and very shy. It took her a little bit of time to get warmed up. S he was sweet and wanted attention. She has adjusted really well and has put on weight.” She was getting real agitated during thunderstorms but Mike got her a thunder jacket and it has worked well. 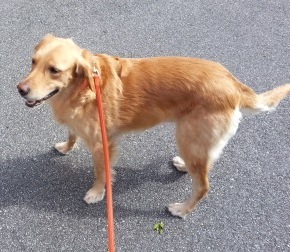 Mike was out of town recently and I took Joplyn for her midday walks. I can attest that she is doing great. I first met her about a week after she arrived in Atlanta. She’s now up to 60 pounds and by looking at her, you would never know what she’s been through. Sugar Cookie has not adjusted quite so well. 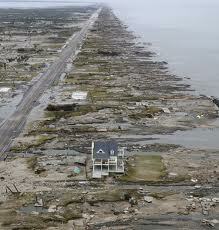 Stacy Fox was working with the Houston chapter of the SPCA when preparations for Ike were underway in September 2008. When the evacuation order for Galveston Island was issued, residents were told to take their pets with them. 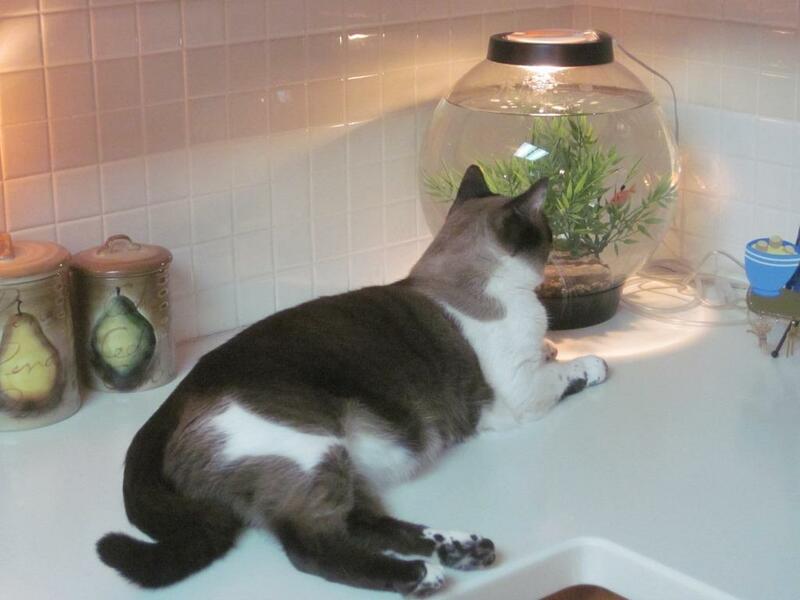 Many people thought they would only be gone for a day or two and their pets would be fine. Now we know that many of the buildings on Galveston Island were destroyed, including the original animal shelter on the island. 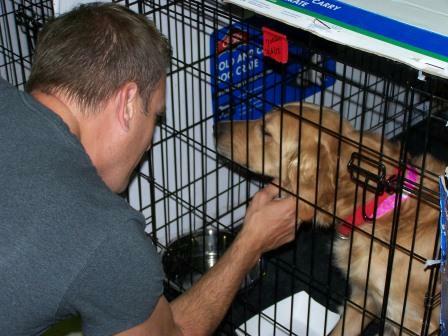 The SPCA set up a mobile animal shelter, or MASH, within 24 hours of landfall. Stray animals were brought to the MASH and a pet hotline and website was set up so people could see if their pets were turned in. One of the animals turned in the day after the hurricane hit was a 5 week old Siamese cat. Rescuers going door to door heard a commotion and found a group of pit bulls attacking a family of cats and only one was saved. He was sent to the MASH and was checked out by the vet there. After 10 days, no one claimed it so it was sent to the SPCA shelter in Houston and placed in a kennel there. She got in touch with Dr. Lori Haug, an animal behavior diplomat. They are vets who study animal behavior. They diagnose and treat mental illness in animals. After spending many hours in the Fox’s home observing Sugar Cookie and his environment, she determined he suffered from fear aggression and predatory aggression. Since Sugar Cookie was separated from his mother and family, he didn’t get the kitten socialization that normally occurs. Dr. Haug set up a treatment plan, but it was up to the Fox’s to implement it. Sugar Cookie has learned to respect the boundaries of the family members, but usually stays in the downstairs of the house. When we sit for them, the sitter keeps her in one room, while she puts down the food and cleans the box. He didn’t have any problems with our sitter. You can see what a pretty cat he is and Stacy says he means a lot to the family. “He’s a work in progress. I think he loves us now and he feels safe and comfortable. When we adopt a pet we make the commitment to the animal for their life and we love him and his uniqueness.” Stacy urges anyone who may be having some problems with their pet get in touch with a behaviorist to examine their pet before they give up on it and send it to a shelter. From the ACVB website you can find one near you. On a personal note, before operating Fetch! 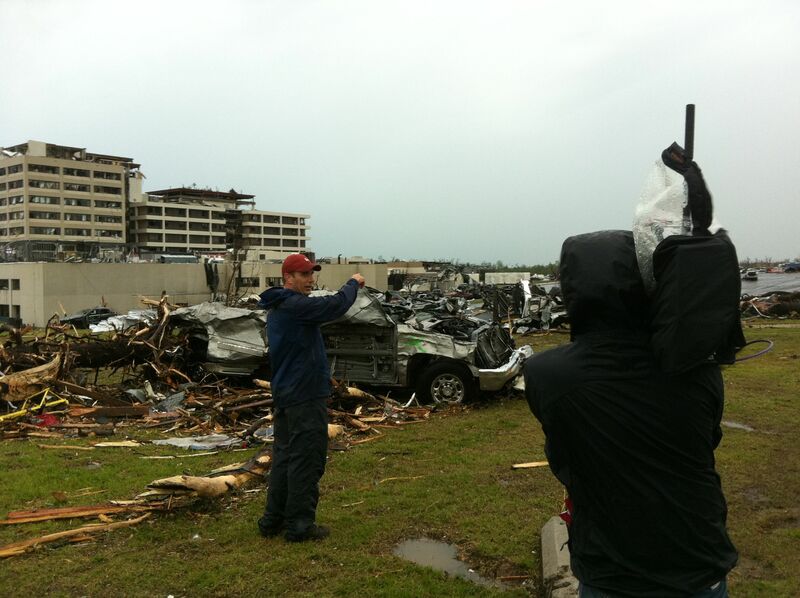 I was an executive producer at the Weather Channel and had worked with Mike on coverage of many severe weather events. I left the Weather Channel in the summer of 2009, so I was not involved in the Joplin coverage, but Ike was the last significant hurricane I covered at the Weather Channel.